Green People Aloe Vera and Citrus Toothpaste is formulated with Organic Aloe Vera, Lemon, Grapefruit, Orange and Myrrh. Green People toothpastes and mouthwashes provide gentle natural oral care for all the family and are ideal for sensitive teeth and gums. Flavoured using only essential oils this mint free toothpaste contains ingredients certified by the Soil Association. Green People's certified organic toothpastes are free from Fluoride, SLS, Triclosan, Sorbitol, Parabens, phthalates, artificial sweeteners, petrochemicals and colourants to bring you the purest toothpaste that nature can offer. 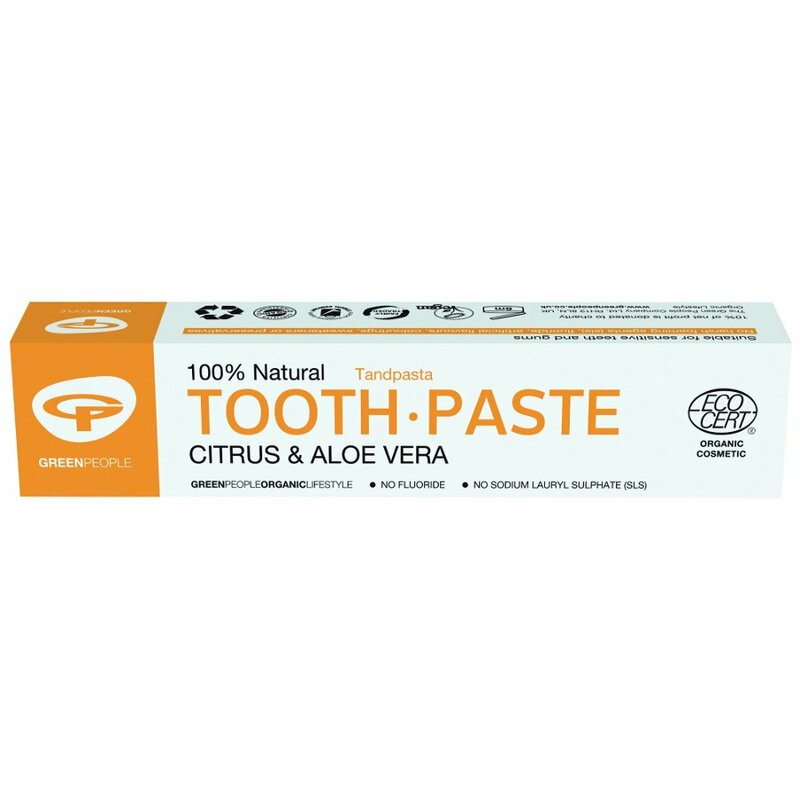 There are currently no questions to display about Green People Aloe Vera & Citrus Toothpaste - 50ml.